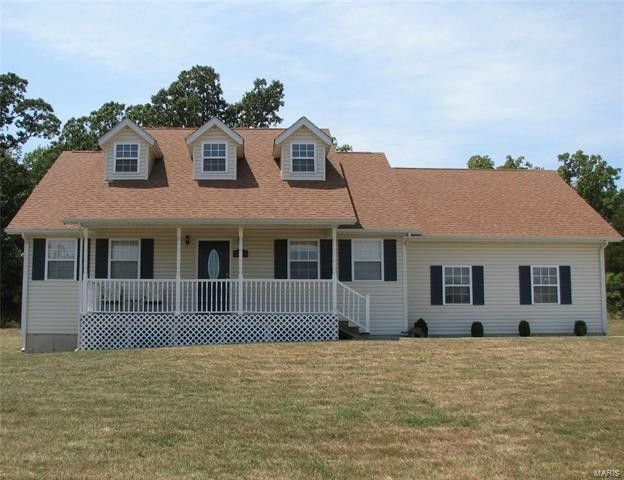 Check out this beautiful 3 bedroom 2 bath home sitting on 1.44 acres just outside of Lebanon! Over 1800 square feet and a split bedroom floor plan allows for plenty of room for you and your family! Beautiful dormers highlight the living room space and make for wonderful natural light. The large kitchen/dining combo provides more than enough storage and cabinet space! Escape to the large master suite with updated shower/bath combo. If outdoor living is watch you're looking for this is the house for you! Welcome friends and family on the beautiful front porch or sip your morning coffee on the covered back deck. You don't want to miss out on this home! Schedule a showing today!